Dive Australia - Diving Vacations and Australian Travel Planning services. Thinking about Scuba Diving in Australia? Then you've found the right place! AboutAustraliaDiving.com has partnered with Australia's Industry Leaders in Liveaboard Diving, Travel & Tourism to provide you with quality information and resources (FAQs) to help you make the best selections for your Scuba Diving Vacation to Australia. Many of the Livaboard Dive Trips travel to the spectacular Great Barrier Reef & Coral Sea and include famous dive sites such as Osprey Reef and the Cod Hole. Specializing in personalized Travel Packages for Dive Shop Groups & Independent Divers, our goal is to create for you the best, most enjoyable Vacation experience of a lifetime. Our Australian Travel Services include International & Australian Domestic Flights, LiveAboard Diving, Day Dive Trips, Sightseeing Tours, Accommodation, Transfers, Car Rentals, Visas & Insurance. Please review some of our hand-picked Australian Diving Vactions and let us know how we can tailor a Dive Package to suit your travel needs. 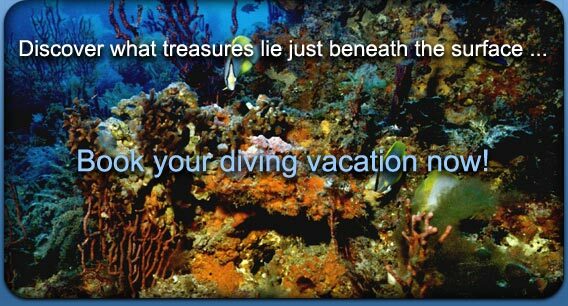 Australia Diving Vacation quotations available on request.